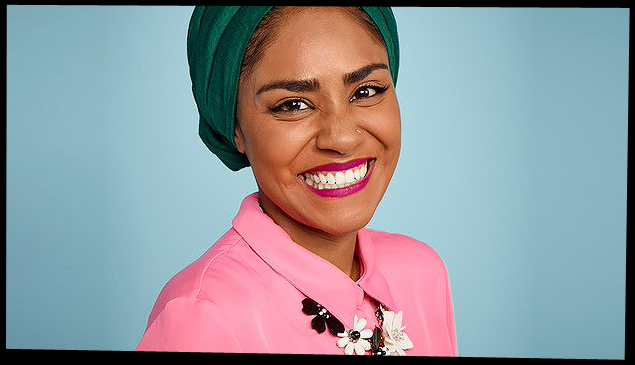 Writer and presenter, Nadiya Hussain, will deliver the opening keynote interview at this year’s Children’s Media Conference (CMC), which takes place from 2-4 July in Sheffield. Ahead of the publication of her first children’s picture book, ‘My Monster and Me’ this October, at CMC Nadiya will face down the monsters that surround us all: mental health, intolerance, inequality… and consider what we can all do to inspire young people to feel truly limitless. Nadiya’s keynote interview comes as part of this year’s overall theme of ‘Limitless’ and will explore what kids’ media can do to support the limitless curiosity, imaginations and entertainment appetite of children, while making sense of the near-limitless choice and connectivity available to them. The conference will offer visitors a no-limits exploration of the unprecedented changes facing the industry, including new players and new funding models, new thinking on inclusivity and engagement, and pan-platform brands with limitless ambitions to connect with kids. The conference, now in its 16th year, expects to welcome more than 1,200 delegates, kicking off with the annual market day, the CMC International Exchange on Tuesday 2 July which plays host to a wide range of broadcasters, co-producers, funders and investors from across the world keen to meet sellers of content and services. Visit Children's Media Conference for more information, registration and the full programme of sessions and speakers. Now in its 16th year, The Children’s Media Conference (CMC) is the premier conference in the UK dedicated to supporting children’s media. This annual get-together is the most important event of its kind in the UK; it’s the only time when independent producers, broadcasters, film makers, commissioners, licensing executives, distributors, publishers, interactive media producers, writers, academics, theatre directors and educational media specialists can get together for discussions, workshops and intensive sessions which focus on all the new and future developments in children’s media and entertainment. The first day of the event is the CMC International Exchange, where international commissioning executives, buyers, co-production partners and funding agencies are welcomed to the UK’s only children’s content market. The international guests are offered the chance to meet a huge range of UK content companies specialising in children’s media – in one place at one time. The international guests will then join the Conference for discussions on panels and networking with all delegates.